Exciting announcement coming Spring of 2019 about this local landmark! The Medical Arts Building was built in 1928-1930. The building was erected at the southeast corner of South Avenue and Pershing Street at a cost of $425,000. It soon was filled to capacity, mainly with doctors, dentists and other medical-related offices. It was conveniently located near St John's Hospital, Burge Hospital and Baptist Hospital. The eight-story building was owned by bondholders under the directorship of the Greene County Medical Arts Association. In 1944 Springfield real estate dealer O.L. Burger purchased the building. The building was at 90 percent capacity at the time of the sale. The following year Arthur Eichholz purchased the building. He owned the building for 18 years along with General Properties, a family corporation including Eichholz’s son Richard and Maurice Bilyeu. During this time the building was consistently at nearly full capacity. It was renamed the Empire Building. New life coming to the Medical Arts Building. In 1963 Butler And Associates, an architectural firm, purchased the Empire from General Properties Inc. They paid over $300,000 for the building. Throughout the 1960s and through the 1970s the Empire fell on hard times. Park Plaza Development Company purchased the building in 1972. In April, 1974, each of the nine remaining tenants received letters asking them to vacate the building. Empire Bank had acquired the property through a foreclosure. Empire Bank had a second mortgage on the building and a first mortgage on its parking lot. Great Southern Savings had a first mortgage on the building. The Empire was vacated on May 1, 1974. In 1976 Diversified Land and Cattle Company acquired the building. Partners James Crawford and Darence Clenginger were the first occupants. In 1978 the Springfield City Directory listed the building’s name as Park Central Towers. In 1977 Burrell Behavorial Health moved into the building, where they stayed until 1984. By 1980 there were several tenants in Park Central Tower. The 1985 City Directory shows Great Southern Insurance occupying several floors, the Greene County Democratic Committee in the ground floor and miscellaneous other businesses in the building. From approximately 1990 to the present Great Southern Bank has occupied the entire building. Innovative Dental plans to open its second office in early 2020 just south of the Mercy Rehabilitation Hospital on U.S. Highway 65. It’s designed as a two-story building with a modern steel frame, a glass lobby and exposed structural steel. Buxton Kubik Dodd Design Collective is the project architect and mechanical, electrical and plumbing engineer. Larry Snyder & Co. is the general contractor, and engineering work is from Anderson Engineering Inc., civil and landscape; and Miller Engineering PC, structural. Mid-Missouri Bank has plans for a new three-story bank and operations building, comprised mostly of metal panels and glass, to replace its current headquarters just 100 yards to the north. Planned design features include the permeation of natural sunlight and an outdoor deck area on the roof. Project architect Buxton Kubik Dodd Design Collective also is providing mechanical, electrical and plumbing engineering work. DeWitt & Associates Inc. is the general contractor and additional civil and structural engineering work is handled by Toth & Associates Inc. The project is expected to wrap up by June 2020. Engineers: Lee Engineering and Associates LLC, civil; J&M Engineering LLC, structural; and Buxton Kubik Dodd Design Collective, mechanical, electrical and plumbing. Most people might have missed the potential of the narrow lot at the corner of National Avenue and Montclair Street. That’s not the case for Jon Dodd, principal and director of architecture at Buxton Kubik Dodd Design Collective. One hurdle early on was zoning requirements that caused height limitations. “Pockets were designed into the wood truss floor and roof structure to accommodate overhead mechanical equipment allowing the floor-to-floor heights to be lower,” Dodd said. 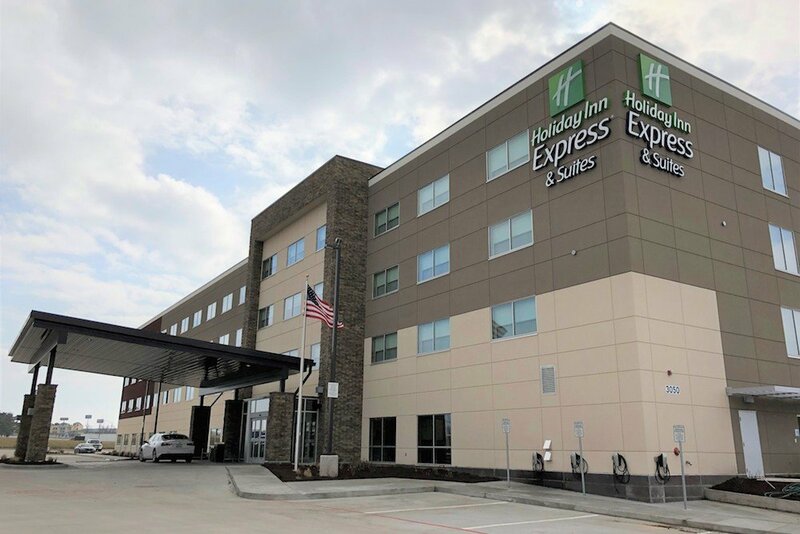 The 32,000-square-foot office and medical building located in the middle of the Medical Mile houses seven tenants, including Buxton Kubik Dodd, Missouri Trust & Investment Co. and Family Back & Neck Care Centre, as well as PrimeLending in an adjacent freestanding building. Dodd points to design highlights as the three-story lobby, with an open glass element, and a covered rooftop terrace.